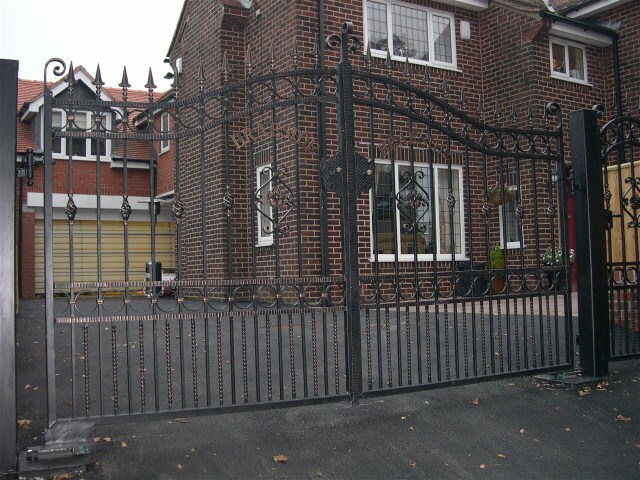 We are a small family business and have been involved with the manufacture and installation of wrought iron products for over 12 years. We go from strength to strength mainly through our reputation and 'word of mouth'. Here at T.S.B ironcraft everything is taken care of in house, from the first step of the measure, right down to the final installation. The work displayed on this web site has been made and installed by us and nobody else, so hopefully you can see for yourselves the quality you will be getting from us, and at a very competitive price. Please be patient whilst the slide show loads.